Upgrading your garage door is one of the most cost effective ways to increase the curb appeal of your home, as well as increase your energy efficiency. Clegg Brothers offers a a variety of doors in several styles to complement your home, from traditional styles to the more elegant carriage house look. Once you have chosen a look to enhance your home, there are many options and upgrades to choose from including windows, custom handles and hinges to different insulation options. 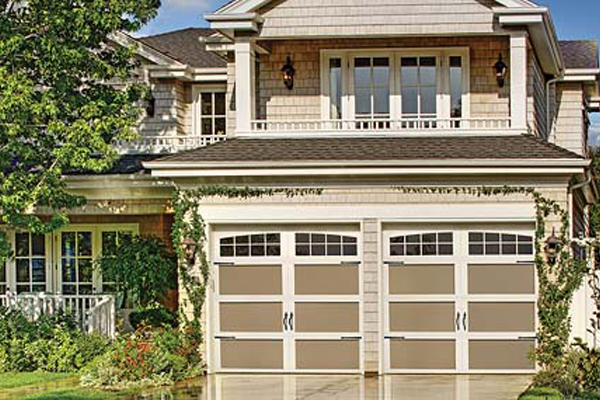 Clegg Brothers offers a wide selection of insulated and non-insulated garage doors, openers, and accessories made with steel, wood, fiberglass or aluminum. We’re confident that you’ll be able to find a garage door system that will give your home the face lift you’ve been looking for and increase your curb appeal. To help you make a decision on the garage door system that best suits your needs, our Traditional Showroom in New Windsor, NY is available for those who want to see our entire selection of garage doors, openers, and accessories. Feel free to stop by and speak with a representative anytime between 7:30-5:00 Monday- Friday. Or take advantage of our Mobile Showroom, stocked with samples and photos to give you the decision making power of a traditional showroom but in the convenience of your own home. Call to set up a time for one of our representatives to make a home visit. If you are satisfied with your current garage door but need service, our Factory Trained Technicians are well equipped to handle any repair or service project on your garage door. Our service territory includes Orange, Dutchess, Rockland, Putnam, Sullivan and Ulster Counties in New York State. Raised Panel garage doors are one of our most popular styles due to their durability, energy efficiency and economic value. This door recreates the look of wood with a distinctive panel design but is built from durable steel. Raised Panel doors are available in a variety of styles and colors with several window options to choose from so you’ll be able to make a selection that complements the look of your home. With R values that can be as high as 17.19 you’ll be adding curb appeal as well as increasing your energy efficiency. Carriage House Doors perfectly combine elegant design with traditional sensibility. Made of steel, you enjoy maintenance free durability with a traditional wood look. A variety of options such as windows, hardware and color selections give your home a more customized look. 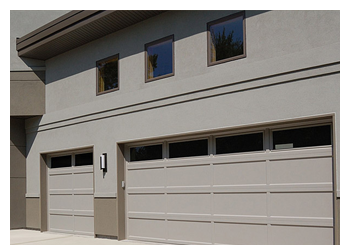 As added value, select Carriage House Garage Doors are available with R-values of up to R 18. Elegance plus Energy Efficiency will add value to your home for years to come! Our Recessed Panel doors look like wood but this classic style is made up of all-metal materials which make them virtually maintenance-free! 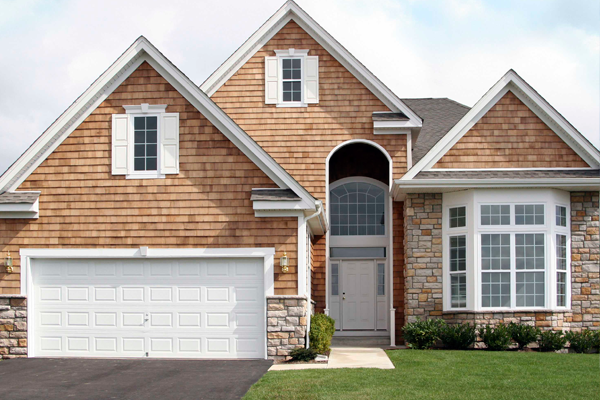 With a variety of colors to choose from and insulated cores for weather protection, a recessed panel door can give you a traditional look with modern sensibility.